Rose Ann attended Catholic School for 12 years. She graduated from Incarnate Word Academy and attended Houston Community College. Rose Ann was a stay at home mom for 27 years, raising 3 wonderful children who have blessed her with 9 fantastic grandchildren. 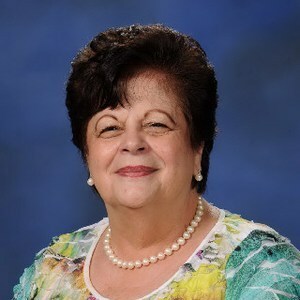 Rose Ann has worked in administrative work both at Incarnate Word Academy and of course at St. Catherine’s since 1996. In her spare time Rose Ann enjoys special time with her 9 grandchildren, cooking, reading, exercising, shopping, dancing and going to the movies and out to eat with her friends. She also enjoys all the time she spends with her grown children and the rest of her Italian family.